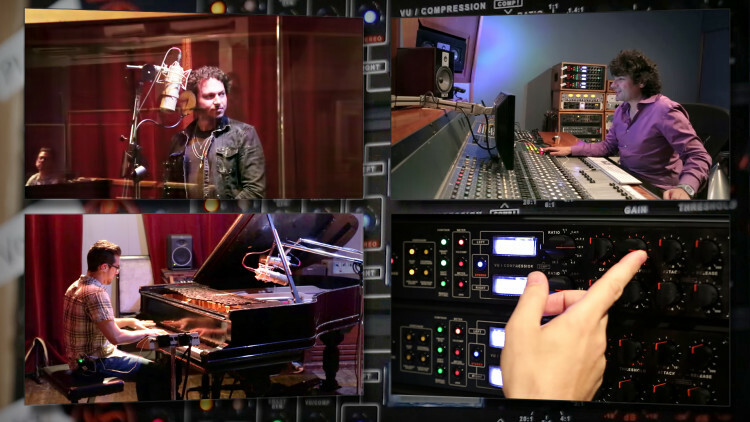 Fab Dupont was challenged by Dangerous Music to record singer songwriter Jay Stolar and a piano with only 3 Dangerous Music Compressors. This video documents the whole process. Stunning. No real color. Just amazing talent and expertise married to create art. Refreshing. Interesting challenge video. Nice trick with using dual mono for limiter + compression. I understand you were asked to use no EQ, and now I'm wondering what you would do if you had more freedom? How would you master it? Right now it has the "live broadcast from the radio station" sound. Is there anything about this challenge that you felt was too limiting in terms of creating the best result? Fantastic. I would like your videos to have subtitles in Portuguese. I'm from Brazil and I really enjoy your work. Big hug. Awesome video. How did you send the vocal in dual mono? Like how did you patch it? 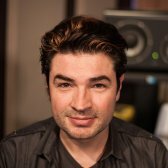 Can you do a video showing how to patch the Compressor to be used as an insert into protools? And also how to patch the side chain? Thanks! Amazing recording Fab. Every component, including the talent, really seems to shine here. I have recently started using my Atlantis on sources other than vox and it really shines in many ways. Great tune, music is alive and well after all! @tolchocks: no eqs. just the Atlantis mics, the Neve 33 series preamps and the Dangerous compressors with Avid io converters. That was the mandate. How many EQ is going on? I mean.. Piano and vocal seem connected and theres no resonances sticking out and making them "move". Is it because the room is really well treated? Great sound. Which voicings were used on the mics? I like this approach. Minimalistic but simply perfect sounding. Thanks Fab!